If you're on the hunt for an exceptional used car or truck in Baton Rouge, Louisiana, you've come to the right place! Our selection of top-quality used cars is virtually unequaled. 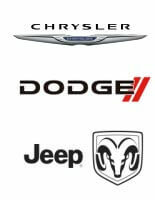 We sell cars, SUVs, trucks, crossovers, and minivans from among the most popular makes and models. So whether you're looking for a pre-owned vehicle from Ford, Toyota, Chrysler, Nissan, Dodge, Chevrolet, Honda, or just about any other automotive brand, you'll find it on our lot. But it's not just about our inventory. We're here to earn your business for life. So we're happy to offer each and every client an extraordinary customer service experience! Why not come on in and discover our premier customer service for yourself? You'll be glad you did! Financing your vehicle is a simple process at All Star Automotive Used Cars. That's because our Finance professionals do everything they can to get the perfect used car loan for your particular needs. Our Finance Department maintains relationships with multiple lending institutions which gives us the ability to shop around for auto financing with reasonable payments and the best interest rate possible. But what if you're a Denham Springs driver who hasn't established a credit history yet? Or what if you've got bad credit in Prairieville, LA? We've got great news! We work with clients in all credit situations so if your FICO score is lacking, let us help! After all, getting a car loan and making timely payments will help to build or rebuild your credit. Why not get the auto financing process started right now? Go ahead! Apply for a car loan online. You'll be pre-approved quickly. Then come on in! Who knows? You could drive back home in a fantastic pre-owned vehicle today! Most of us know that taking care of your vehicle saves you money in the long run. You avoid unnecessary breakdowns and the accompanying repair bills, tow truck expenses, time lost from work, and the list goes on. So when your car needs care, book an appointment with our Service Department. Located near Prairieville, we have a sparkling clean service facility brimming with high-tech tools and equipment. So our highly-skilled service technicians are well-equipped to provide top-notch service in a timely manner. And more importantly, we strive for 100% customer satisfaction. It's part of our mission to provide extraordinary customer service. We want our relationship with you to continue long after you purchase a vehicle from us. And that's why we're not happy until you're satisfied with your vehicle and our customer service. Book an appointment for service with the All Star Automotive Used Car Service Center today! You'll find our Parts Department stocked with popular auto parts for any automotive brand. So if you're a seasoned DIY-er working on your car in your garage, make sure you get the parts you need from our parts store. Our comprehensive inventory includes parts and accessories for nearly any automotive repairs or upgrades. Come in today or order auto parts online from your Baton Rouge home now. Located in Baton Rouge, Louisiana, All Star Automotive Used Cars serves drivers in Baton Rouge, Denham Springs and Prairieville as well as nearby cities and towns.